A few months ago, I took Roccat's Isku FX gaming keyboard for a spin. It's pretty nice! You can reprogram many of the keys, set up all manner of timers and macro commands, and press letters to make words in relative comfort. The price was fair, too--you can snap one up on Amazon for $85. A solid piece of gear all around, but it's a shame it wasn't a mechanical keyboard; I'm a sucker for the superior comfort and responsiveness afforded by a solid set of Cherry MX switches. So Roccat's Ryos MK Pro should be right up my alley: it does just about everything the Isku FX does while adding plenty new features and sports glorious, clickety-clackety mechanical keys. This would be my no-brainer recommendation for anyone looking for a premium gaming keyboard, right up until the moment I see the price tag--$170. That's $30 more than the Razer BlackWidow Ultimate that usually lives on my desk. Is Roccat's Ryos MK Pro $30 better than Razer's best? Follow that relentless clacking noise to find out. The Ryos MK Pro I've got here packs Cherry MX Brown switches, though they're available in any flavor you prefer--if Cherry MX switches are a foreign concept for you, check out our guide to mechanical keyboards. In short, a switch's type determines the amount of force you need to apply before the key is actuated, or pressed. MX Browns require a bit less force press than most other types of switches and serve up a tactile bump when actuated--with a little practice you'll learn to move on to the next key after the bump, instead of pressing a key all the way down. MX Browns also offer no audible click, so they're ostensibly a bit quieter. They're still still a bit louder than more common scissor-switch keyboards--anyone in the room will definitely know you're hard at work. I personally prefer Cherry MX Blues, like those in Razer's BlackWidow Ultimate. These require a bit more force so you'll have fewer accidental keypresses (great for gaming), and couple that tactile bump with a satisfying click. Either way, once you're used to the switch--and the din--your fingers will fly. The distinction between the switches makes it a bit harder to do a fair, apples-to-apples comparison of these two keyboards--both handle the whole typing thing amicably, whatever your preference. They also look nearly identical, though the Ryos MK Pro adds three thumb buttons under the space bar. Headphone and microphone jacks sit on the left corner of the keyboard, while a pair of USB ports (one more than Razer's offering) can be found on the right. The Isku FX offered a rainbow of colors to choose from. The Ryos MK Pro limits you to blue, but you can do so much more! Perhaps too much more. In its default state most of the Ryos' keys are unlit, save for the function row, the arrow keys, the five Macro keys running along the left edge of the keyboard, and WASD. But press a key on the keyboard and it'll light up for just a second, before fading out. So trippy. If you're sitting in the dark and aren't a touch-typist this would probably be annoying, but I love it. But maybe you don't. Maybe you'd prefer if all the lights stayed off, with waves of light rippling obnoxiously around every key you press. Or maybe you'd rather have every other key on the keyboard blink in a slow, haunting rhythm. I set the keys to fade in ten-second intervals and admired the chaotic patterns that emerged from my wordsmithing. Is there a point to all this? I couldn't think of one, though I'm sure gamers with greater attention to detail or stronger preferences will dream up all manner lighting situations and combinations. Every single key can be reassigned to perform another function and have its LED light tweaked. The Easy-Shift button replaces the caps lock key--hold it down to unlock secondary functions for every key that isn't on the function row. So many choices! And they're all controlled by the Ryos' driver software. You'll be hard pressed to find a gaming peripheral that doesn't require some sort of software to unlock its full potential, and in a bizarre turn I find myself wishing Roccat would get around to implementing something like Razer's Synapse. I've repeatedly weighed the pros and cons of Razer's software-package-to-rule-them-all, and I dislike it a little less every time. Call it Stockholm Syndrome, but Razer's implementation is the most mature of the bunch--once Synapse is installed, just plug in any of Razer's (newer) gear and it'll start downloading drivers and configuration software. If you own several Razer peripherals, you can find your configuration settings wherever Synapse is installed. 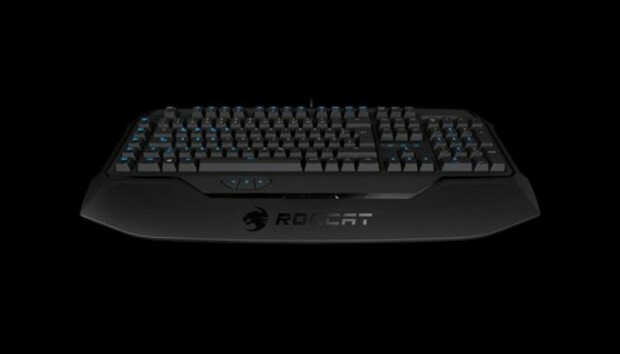 Roccat takes the old-school approach of packing a separate driver for each peripheral. You'll need to fire up each individual software package to tweak each device you own; ditto for managing any updates that might be pushed along, or if migrate between machines with any regularity. This probably won't be an issue for most people, but if this sort of thing is required, I'd at least like the implementation to be a little... neater. And I'm still not seeing anything that indicates the Ryos MK Pro is worth that $30 premium. You have far more granular control over individual keys, and the Easy-Shift mode will likely be a boon to some segment of the gaming population. But Razer offers a superior software suite and costs less--I actually shuddered as I typed that. The end result is a keyboard that offers far more than it needs to in the superfluous customization department, and no tangible benefits over Razer's wares. Maybe you don't like Razer gear. Maybe you had a bad experience with Synapse, or ran into a faulty peripheral and swore off picking up any of their pricey hardware ever again. Then I've got a keyboard for you: the $140 Das Keyboard Model S Professional. Or grab the $100 SteelSeries 6GV2, if you'd like to save a few bucks. They lack colors and customization options, but they're great... and they're not Razer, I guess. Either way, they're a more cost-effective option than the Ryos. Which isn't to say there's anything wrong with the Ryos MK Pro. There isn't! It's a great keyboard--but there are a lot of great keyboards out there, and the granular control over the blink interval on a keyboard's home row isn't quite the selling point Roccat makes it out to be.